After spending 15 years in various retail outlets, designer Stacey Fraser set out to create a casual, but playful line for little girls and their moms. This line was born in 2006, and adorably named Pink Chicken. 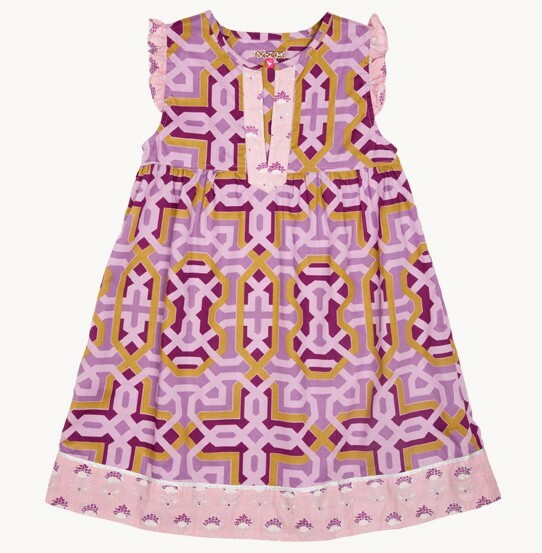 Featuring gorgeous Indian embroidery, block prints, and tie dye in her collections, the stunning children’s and women’s line soon became available to tween girls, too – now reaching every age in the market. I was first introduced to New York-based Pink Chicken in 2011 while working in a high-end specialty children’s wear boutique. I was, and still am, impressed by their fantastic prints and great quality! Pink Chicken’s Hope 2-Piece Set for infants, featuring an adorable all-over block print. The Christina Dress for girls 12m-6 years. 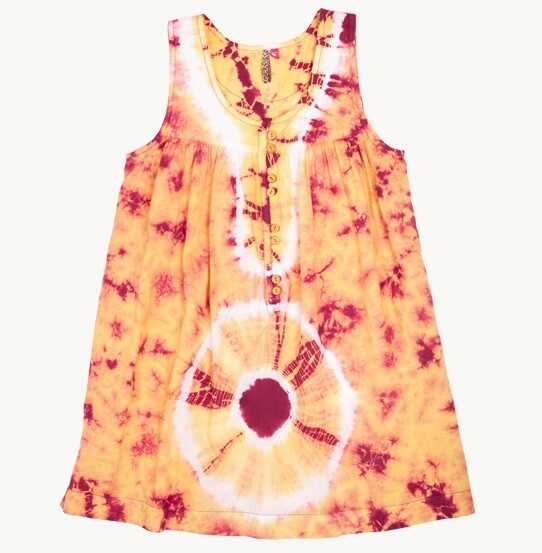 The tie dye Wren Tunic for tweens sizes 7-12. The Mia Top for women, featuring all-over embroidery. 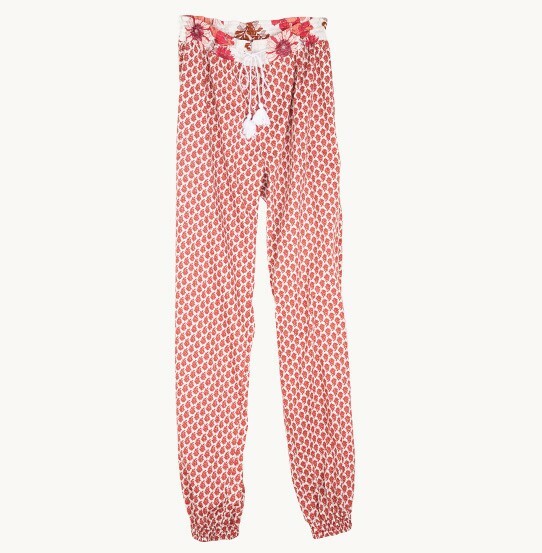 The block print Rhea Pant for women, with tassel ties at waist.